The worst of the Samsung Galaxy Note 7 disaster is behind us, but South Korean government officials are now stepping up regulations to ensure something like it never happens again. 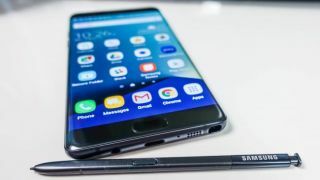 As reported by Reuters, officials there are strengthening safety standards and testing for lithium-ion batteries to prevent future situations like the one that turned Samsung's phablet into a fire hazard. Going forward, South Korean officials will closely monitor companies that produce lithium-ion batteries, increasing oversight as well as performing regular safety checks of devices carrying the tech. Officials are also looking to reform recall rules, such as allowing the government to tell consumers to cease using a defective product in the absence of a formal recall. Samsung especially will be watched closely as the regulations take effect. Not only will officials implement more stringent guidelines during the design process of future phones, but they'll also conduct checks with tools like X-ray to make sure Samsung's batteries are up to snuff. The Note 7 failure was more than egg on the face for Samsung, with the US banning the device on flights, let alone the massive recall that cost the phone maker over $5 billion. The incoming regulations come after watchdog group The Korean Agency for Technology Standards confirmed Samsung's own investigation that found improperly-sized batteries from the company's suppliers were behind the combusting phones, as reported by the Wall Street Journal. In the meantime, Samsung continues urging the fraction of customers who haven't yet returned their Note 7s to do so immediately.